Over the past couple of weeks, I have been working in some of our third grade classrooms as they have been working their way through our information writing unit. We wanted to try some different techniques for students to try out as endings. 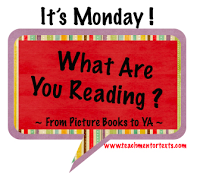 Yesterday, I shared some of the titles that we used as mentor texts as an It's Monday! What Are You Reading post, but I also taught the lesson with one of the teachers. We planned the lesson as an inquiry, so we began with a chart that needed filling out. As the students studied the collection of books I had gathered from our library, they began to realize some of the different and creative ways that nonfiction writers sometimes use as endings. I had way too much to get on to that chart fast! Tomorrow, I will photocopy some of the pages and include those on the chart, as well. 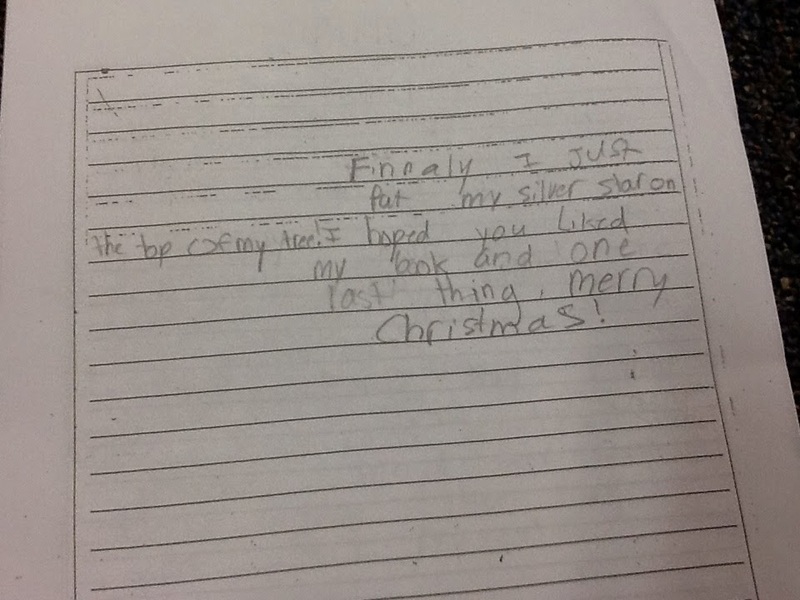 The students surpassed my expectations of what they would find! My chart isn't as picture perfect as I would have liked, but charts don't have to be, and the kids loved the quest for different endings! Nicola Davies used the circular ending in two of the books we studied, one of my favorite ending techniques. I highly recommend checking out her books, Surprising Sharks and Big Blue Whale. These are NOT your typical fact-oriented books and her endings are super fun! Then came my favorite part of our writing workshop because the students tried out different sorts of endings. One girl wrote about Christmas decorating and began her piece with the bare tree in the hallway, ending with the star on the top. In between, she wrote all about the decorations in her house. Finally, I just put my silver star on the top of my tree. I hope you liked my book and one more thing--Merry Christmas! 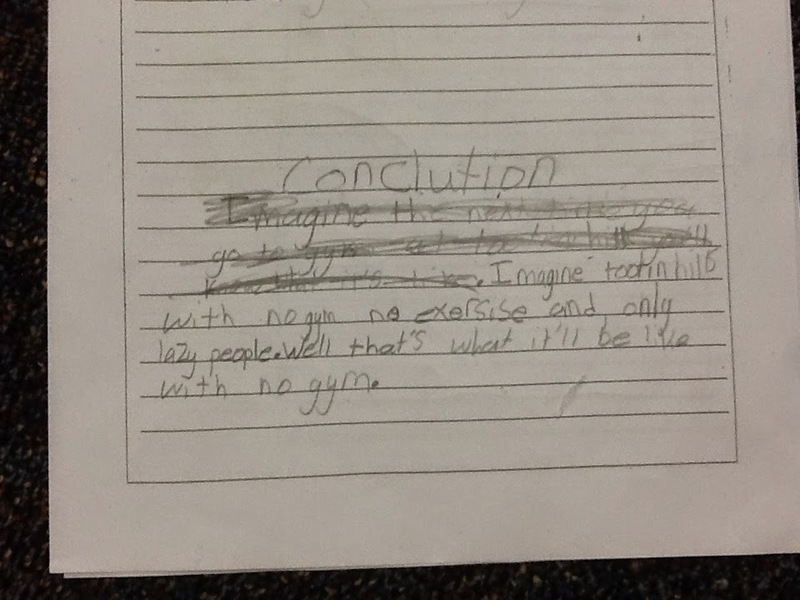 Imagine TH School with no gym, no exercise, and only lazy people. Well, that's what it'll be like with no gym. As you can see from the chart and the growing collection of names on the "Who has tried it?" column, many more students experimented with more playful endings, inspired by a collection of mentor texts and my favorites nonfiction inspiration, Georgia Heard's Finding the Heart of Nonfiction. 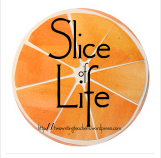 Happy slicing, writing, and teaching! 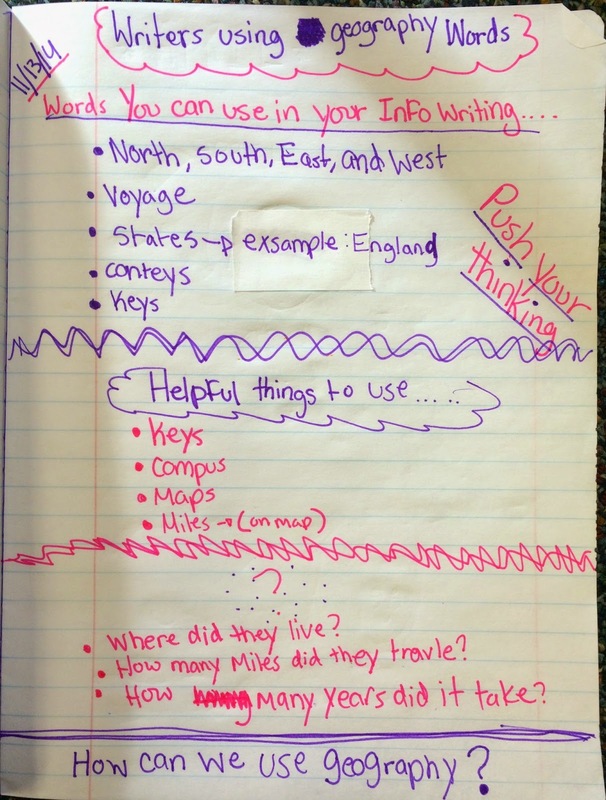 Some of the third-grade teachers have been asking me about endings for nonfiction writing pieces. 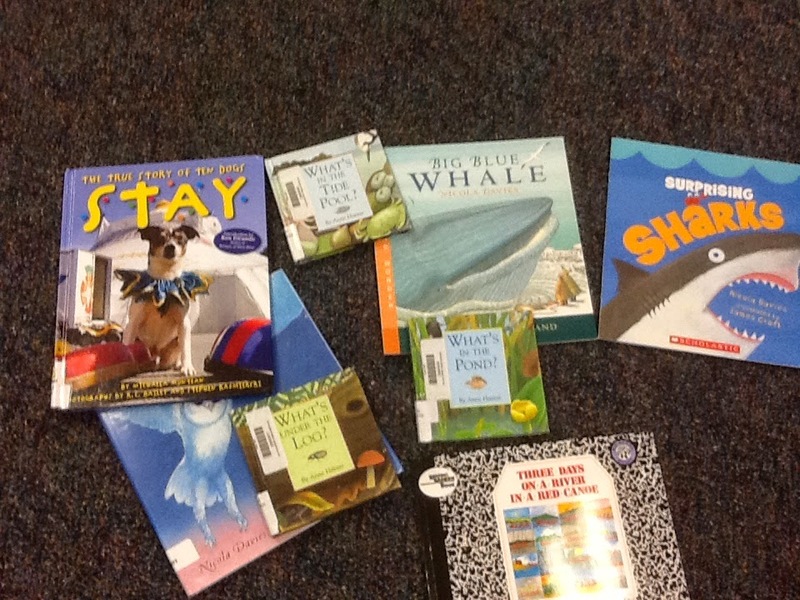 Inspired by the post about endings from Clare and Tammy, as well as how Georgia Heard writes about endings in The Heart of Nonfiction, I gathered up some nonfiction mentor books with different endings. Surprising Sharks by Nicola Davies is a wonderful example of a circular ending. She begins the book with the fear that humans have when they hear that a shark is in the water, but ends with the fear that sharks have when they hear that humans are in the water. Nicola Davies also wrote Big Blue Whale,demonstrating another way to have a circular ending. The students loved looking at Stay: the True Story of Ten Dogs by Michaela Muntean and loved the ending in this book, as well. Michaela Muntean closes the book with a powerful quote from the owner of the dogs about the importance of his animals in his life. What's in the Pond and What's Under the Log, both by Anne Hunter demonstrated how writers can leave readers with a responsibility. Anne Hunter talks to her readers, reminding them to take care of ponds and remember to replace logs in order to take care of the animals that live in those worlds. Another set of students examined Three Days on a River in a Red Canoe by Vera Williams and found that writers can also end information pieces with a thought or an image at the end of the day. They loved trying out this technique in their own writing. We found some other ways to end our work by looking at other books in the room. This work inspired the students to not only read closely, but also to provide creative sense of closure for their own writing. So fun! 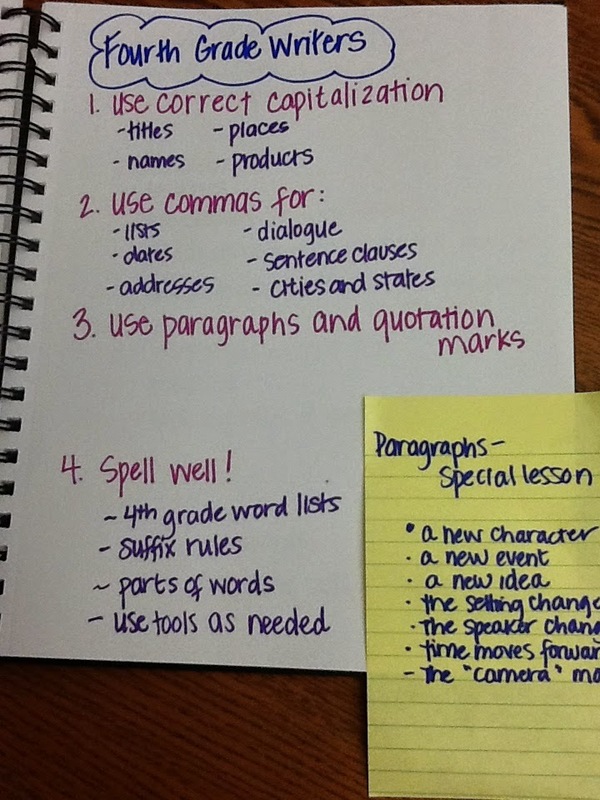 Last year, I worked with one of the teachers in our district on how to teach conventions to students so that they would not only retain the skills, but also use the skills in their writing. Together, we created a chart during an inquiry lesson that specified all of the conventions that her fourth graders knew. 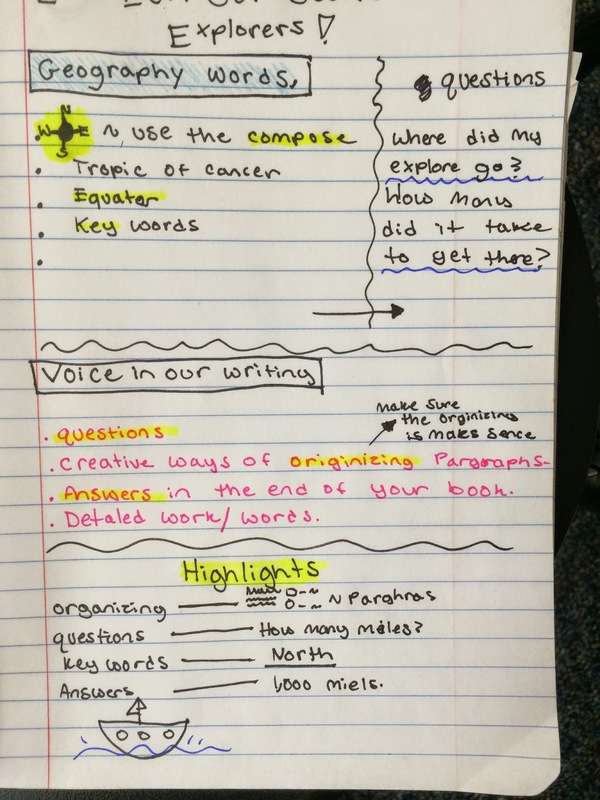 That chart held her students accountable for those skills whenever they wrote, and the skills on that chart were aligned to the Common Core State Standards. Because her students did so well on both our district's editing and revising assessments as well as the conventions component of our district's analytic rubric, I have created a set of master charts for grades 1-5 that I am sharing. These charts align to grade level standards and increase in expectations going up the grades. Since these charts are cumulative, you wouldn't want to be a fifth-grade teacher if students haven't mastered the previous grade level standards! 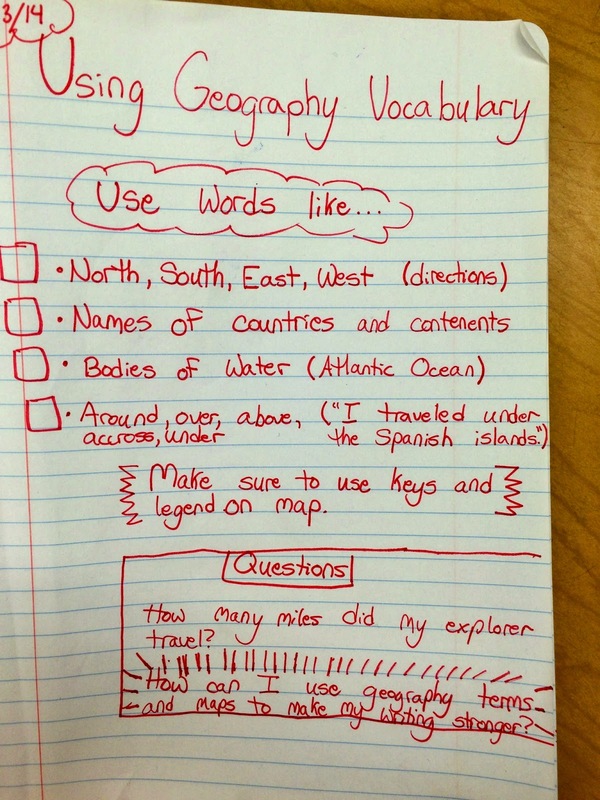 My hope is that these charts serve as anchor charts for conventions within classrooms. They can be introduced during writing workshop with the important teaching point that writers pay attention and use conventions in order to make sure that readers can understand their writing. I also am creating smaller versions that can serve as toolkits for students to keep in writing folders or within notebooks. Depending on how teachers roll out the lesson, perhaps students' initials may appear on the charts in order to increase accountability and designate "classroom experts." So one of the CCSS language standards is addressed within out curriculum. Now, on to parts of speech and grammar... 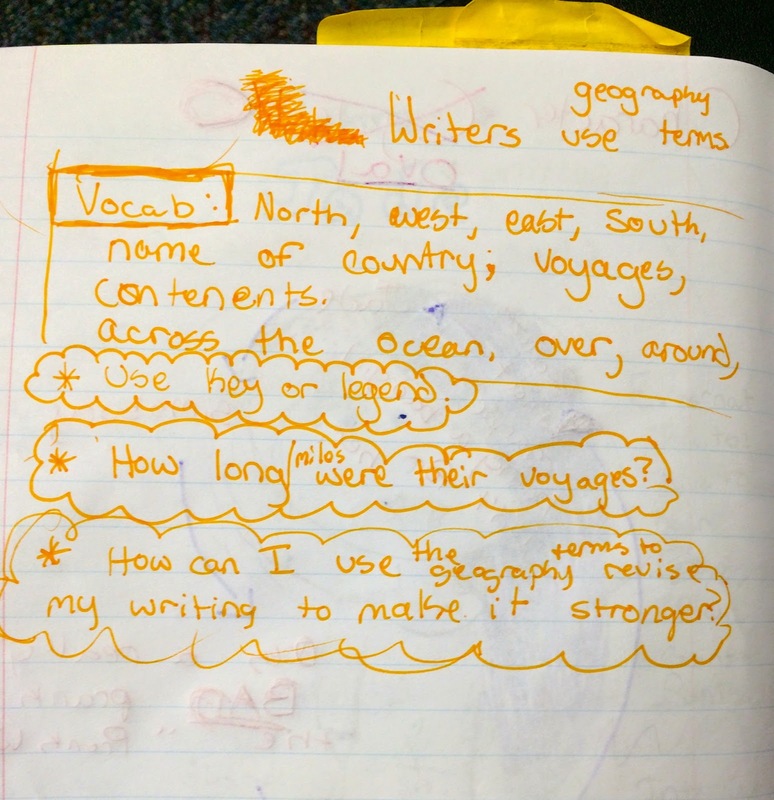 If anyone out there has done work around integrating some of the grammar standards into workshop practices and writing units, I would love to hear about it. My morning slice is more about wondering than about capitalization, but I'd love to hear who is an expert on dog breed capitalization. A classroom moment sent me wondering! 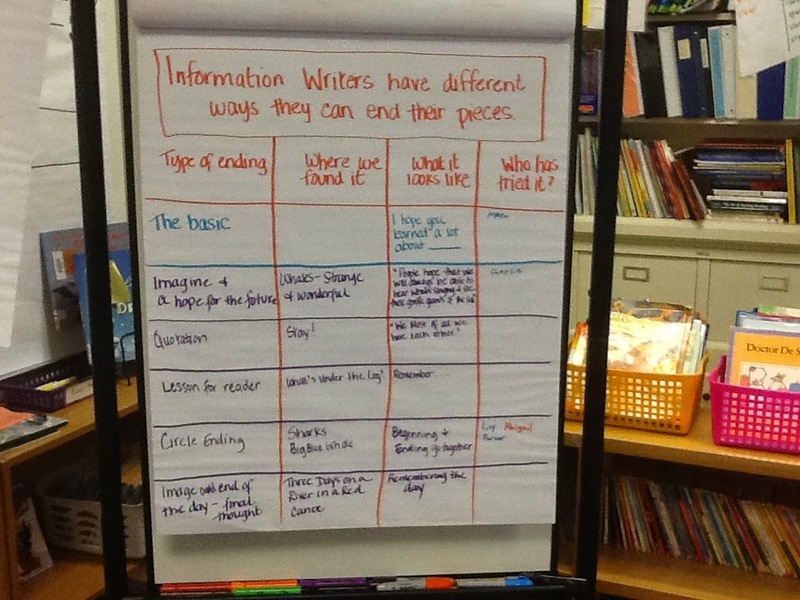 Yesterday, I taught a lesson for third-graders where I asked them to read a mentor information writing piece from Writing Pathways by Lucy Calkins. Many of you may be familiar with this resource and with the series of pieces about bulldogs. 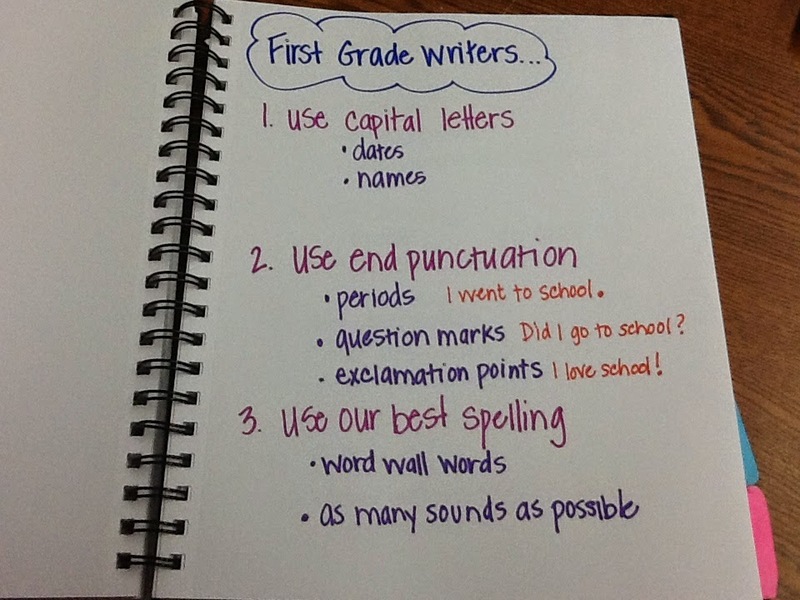 (If not, this is a must-have resource for writing workshop teachers! Worth the money for the checklists alone!!!) One close reader/editor noticed inconsistencies in the capitalization of bulldog. He was absolutely right! In some instances, bulldog was capitalized and in other instances it wasn't. "Yes," he said. "Dog breeds are capitalized." "I think so. But wait, cocker isn't really a place. I'm not sure." "Hmmm. No, I don't think poodle," he said. "Not sure. American pug is, though." "The A and the P? Or just the A?" "You got me," he admitted. "I'm not sure." Animals: Capitalize names of specific animals: The dog’s name is Rover. The veterinarian could not save Snowflake. For breeds, follow Webster’s. Capitalize words derived from proper nouns: Boston terrier, German shepherd. 3. Should names of dog breeds be capitalized — for example, pomeranian, labrador, “bull terrier,” “American pit bull terrier”? I will definitely return to this class and these teachers to tell them about my learning. While I would love for them to use correct capitalization every single time, what I really want them to celebrate is the wonder that this young editor inspired. Sometimes, we don't know all the answers, but we can ask questions and we have places and references to consult. Also, sometimes even teachers are wrong, but we can circle back and correct our mistakes. The Paper Cowboy by Kristin Levine is one of my new favorite books. Although the story takes place in a small midwestern town during McCarthyism, the themes are universal. I love Kristin Levine's final message in her author's note about the importance of community. She writes, "the old woman who lives next door might need some company. The annoying boy on the playground might be longing for a friend. Even when a parent is sick or a child is injured, it's not always easy to see the need or what to do about it. But when people do step in and help, when they take a chance and engage with their neighbors, amazing things can happen." Tommy, the narrator, is a character you won't soon forget, as he deals with guilt, abuse, dysfunctional family relationships, and a community reeling with fear. He is a bully and there were times when I wanted to jump into the pages and shake him, but his reflections and honesty about his actions could lead to some powerful conversations about the complexities of bullying. Kristin Levine had me hooked in the first chapter, and my Christmas decorating was put off in favor of reading a great book. The Book With No Pictures by B.J. Novak had me and my teenage daughters laughing out loud because of the silly language. While I love picture books with no words because they challenge readers to make up the stories, I LOVE this book with no pictures because it invites visualization. Once the silliness and interactiveness of this book is fully experienced, I would love to challenge young readers to imagine the pictures that they would put on the pages. If anyone has done this, please share! If I thought that we were laughing hard in the bookstore over The Book With No Pictures, it was nothing compared to Waiting is Not Easy by Mo Willems. My teenage daughters had not read any of the Mo Willems books before and we left the bookstore with one and a promise to bring more home from the library. The pictures are hilarious, but the final message is brilliant. I am not going to tell you what Piggie has in store for Elephant. Pick this one up and read it together with a favorite book buddy. You won't be disappointed! Just Five Minutes. Getting the Family to Write. One of the sessions that I attended at NCTE14 was about writing college essays. Full disclosure: this was my selfish session. I did not go as a professional; I went as a mother of a high school junior and a high school sophomore. I was curious to hear what college admissions professionals would have to say about college essays. Rebecca Joseph, Valerie Gregory, and Evan Read offered some great tips for college essay writers, but one of the most important take-aways for me had to do with journal writing. Every. Day. For just five minutes, but every day. A collection of moments. When I got home on Sunday, we went journal shopping. For the family members (we have a lot of family members) who weren't there, we chose for them. (I came home from NCTE with an inspirational journal which was my literary gift from Stacey!) Almost every night since, we have finished dinner by writing for five minutes. Of the three daughter who are still home, two of them are more compliant than one of them. My husband knew well enough to go along. My mother went along, and even my dad, who has significant dementia, has taken up writing every night. We all have the option to share or not to share. My 15 year-old daughter has started a novel. Her sessions have evolved into chapter writing and we all look forward to the nightly updates on her characters who are stuck at sea. My husband has written about some of his worries that none of us realized were worries until he shared. My mother has gotten us all laughing with some of her recounts of family moments. My father has written psalms and songs and some of the connections that he has to them. Even Julia, the chief resister at age 16, has written some poems and some commentaries about the absurdities of high school life. I have a collection of vignettes, some of which I have realized would fit into the book I am working on, adding needed levity. We have lingered at the dinner table, since many of the entries lead to more stories and connections. Even my father has lasted in the conversations. Even Julia, who is always in a hurry to get to her homework, has found herself sticking around and laughing with us. I have worked hard to keep the time limited to about five minutes, but sometimes people keep writing while others are sharing. We have unofficially decided that this is okay. No rules seems to be working as the rules. No one has to share. No one has to stop writing. No one even has to keep writing when they feel done. I recommend writing together as a family--not to come up with the best college essay, but to share silly moments and special times. We have found that we talk much more than we write as a result of our latest ritual. Hopefully, this one will have some staying power! I have had a somewhat nerdy weekend and have spent time reading several of the books that I have either recently purchased or found in my professional bookshelf about grammar. The Language Standards of the Common Core are my next big challenge. In our district, we are working hard to figure out the balance of meaningful grammar and conventions instruction with drill and kill saturation. I have to say, there are some really good books and I am sharing my weekend sampling. Mary Ehrenworth and Vicki Vinton wrote The Power of Grammar in 2005, and the lessons still align with the Common Core. They envision a workshop based series of units with integrated teaching points about specific convention and grammar skills. For example, "writers make choices about ending punctuation" would be a lesson during a narrative unit, while comma usage and verb agreement would be lessons that would occur in later units. Their message that "grammar is intimately linked with power" (p. 4) resonates throughout the entire book. 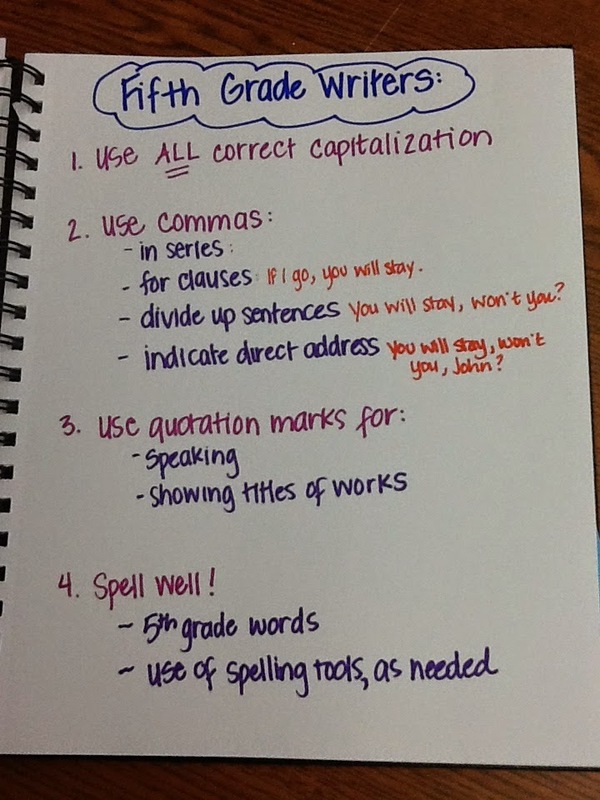 I love the idea of emphasizing power to children when teaching grammar! The Common Core Grammar Toolkit by Sean Ruday is full of lessons and specific mentor texts for teaching explicit standards and skills. This book is divided into grade-specific sections, focusing on the skills that students are expected to master. With many examples of charts, teaching points, inquiries, and classroom snapshots, this book could inspire experienced and novice teachers with ways to integrate grammar instruction into a writing workshop. 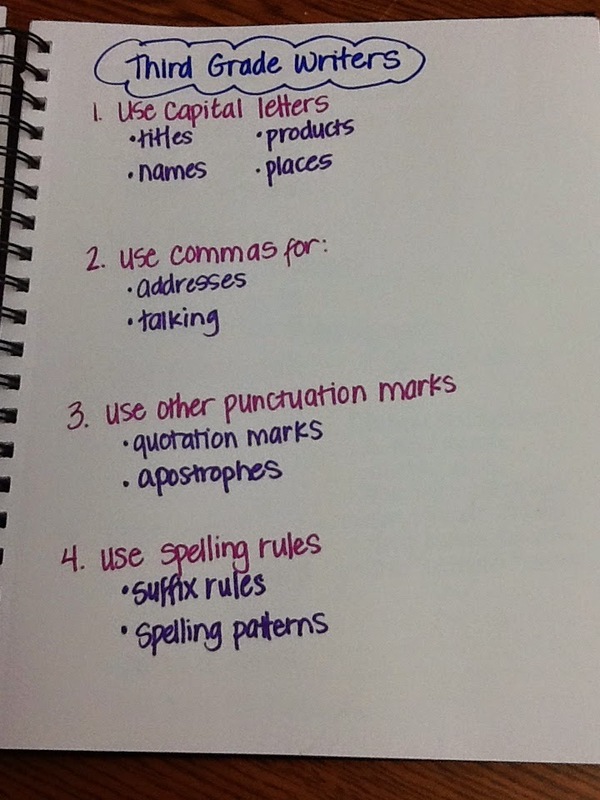 Constance Weaver's The Grammar Planbook has many, many pages to mark and use as references. One of my favorite quotes in her book is "when it comes to grammar and mechanics, we can't teach it all without deluging students with so much information they remember nothing." (p. 31-32) On these same pages, there is a list of the twenty errors most commonly marked by college teachers, including several comma usage errors, several pronoun-related errors, and several sentencing issues. With mentor texts and explicit lessons, this book is an excellent resource for teaching grammar and conventions in the upper elementary grades and up. I am looking forward to exploring Grammar Matters by Lynne Dorfman and Diane Dougherty, as well as some of the work of Janet Angelillo. I did read several picture books this week, as well, but those I will share next week. If anyone out there has favorite grammar books or resources, please share!